In these articles I often write about practical things that may help you win your disability case. This article is not that at all. Instead, I am going to write about someone I love: Homer Simpson. That’s right, I am talking about the animated star of one of the longest running television shows in history. Although few people know it, Homer Simpson has had a profound effect on the Social Security disability adjudication system. The story is almost unbelievable, except that it happens to be true. In November 1995, the Simpsons aired an episode called “King Sized Homer.” The premise was that our friend Homer wanted to get on “disability” so that he could work from home. After repeatedly failing in trying to get injured on the job, Homer finally learns that he can get “disability” by gaining weight. Ultimately by eating enormous amounts of food (even by his standards) Homer succeeds in his goal of gaining enough weight to be declared morbidly obese and is therefore allowed to work from home. In the end though he almost causes the town of Springfield to be destroyed. A brilliant episode and very funny (just like every other installment of the Simpsons). What Does This Have To Do With Social Security Disabilty? Well it seems that a large number of confused and angry viewers decided that it was wrong for people to get any type of “disability” due to their weight. They viewed the “King Sized Homer” episode as a call to arms. Prompted by this episode of the Simpsons, thousand of people began to bombard their Congressional representatives and Senators with complaints about people getting disability for being too heavy. They demanded action to prevent this from happening anymore. Now the reality was that Homer’s little story was not about Social Security disability at all. Instead, it pertained to some imaginary “disability” policy offered by Homer’s ever-generous employer C. Montgomery Burns. (His friends call him Monty. He has no friends). On the other hand, Social Security’s regulations at that time did create an absolute entitlement to disability benefits if an applicant was of a certain height and weight. But Homer Simpson never would have been eligible for Social Security disability because he was working full time. (The fact that he is an imaginary cartoon character would prevent him from getting benefits as well). Nevertheless, in many people’s minds Homer’s abuse of his employer’s “disability” plan made them outraged that Social Security’s disability rules had gotten too lax. After receiving so many complaints from constituents, our elected representatives began to push the Commissioner of Social Security to eliminate a regulation pertaining to obesity. 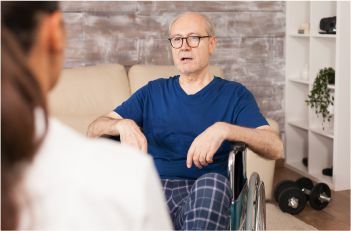 The regulation was called Listing 9.09 and it provided that if you were a certain height and weight, you were automatically considered disabled for Social Security disability purposes, as long as you met the other legal requirements for entitlement. drugging a bit too much that issue might have been addressed more quickly, instead of obesity. So what does this all mean? I am not sure. At the very least it is an interesting story. It certainly speaks to the power of television. It also says something about how the general public often gets confused on complicated policy issues. But more than anything it tells me that Homer J. Simpson is truly a leader in public policy issues, whether King-sized or not.